Is your sleep regularly interrupted by a dull yet continuous pain in your lower back? Do you feel more tired when you wake up than the night before? As unfortunate as it may sound, back pain is no longer associated only with old age. This is a standard issue concerning a vast range of different people throughout the entire world. Luckily, it’s something you could fight off, should you have the right tools. Adding the right mattress topper for back pain is one of the best ways to go about it. What Should You Consider Before Buying? 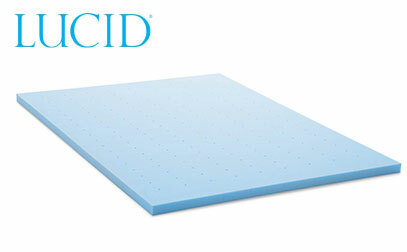 If you're in a hurry check out the LUCID 3” Ventilated Memory Foam: This product is the best choice for those who search for a medium-firm pad which is perfect for various users. The advantages of using a solution of the kind far exceed proper laying posture. The pad would also reflect heat, and it’s going to keep your body conveniently resting at a temperature which is quite optimum. 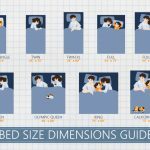 This is undoubtedly another critical consideration and a requirement for a good night’s sleep. However, choosing the most effective option on the market is no walk in the park. With the abundance of different mattress toppers already available, the search could get quite overwhelming. This is why we’ve taken the liberty of presenting you with some of the highly regarded and popular picks which have proven to get the job done perfectly. Want our overall top picks? Our “Best Mattress Topper (Pad) Guide” covers our favorite picks in detail. With all of the above being said, it’s quite obvious why people get easily confused with all the options available. This is why we’ve taken the liberty of taking a quick look at a few of the best options on the market. Geared towards providing you with a pain-free sleeping sensation, this 3-inches ventilated mattress topper is made out of memory foam. It is 3-inches thick, which puts it in the medium-firm thickness spectrum, hence allowing people of different weight categories to take advantage of it. Even if you don’t suffer from any type of back pain, this is a solution which is going to appeal to you, providing you with restful nights of sleep. The memory foam that it’s made out of is soft and dough-like, allowing for the pad to mold to the shape of the body quickly to reduce the overall pressure. 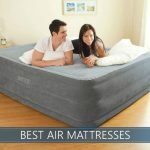 Additionally, there are hundreds of ventilation holes, evenly spaced throughout the entire topper to enhance the overall heat retention and provide you with a flawless sleeping sensation. This open-cell construction also allows for even weight distribution, hence preventing any unwanted dips. Even though it’s true that the topper doesn’t come with side locks to keep it snuggly on the bed, a proper wrap with your regular bed sheet will do the trick easily. 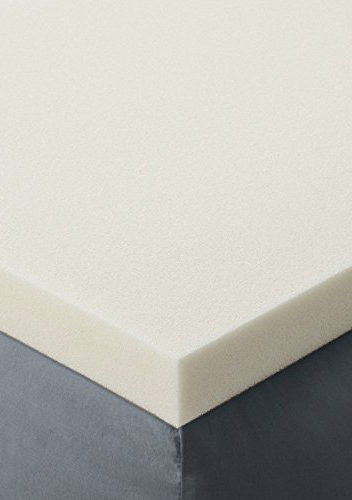 Latex mattress toppers are known for the consistency and bring the necessary support for your back, neck, and shoulders. They have the property to quickly adjust according to the movements you make while you sleep to ensure that your spine is aligned correctly throughout the entire night. With this in mind, the Talalay model of Ultimate Dreams is undoubtedly one of the top contenders on the market. 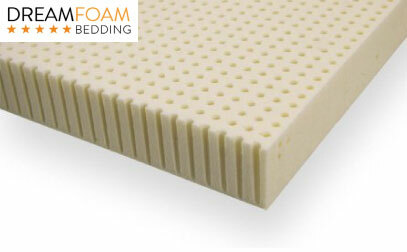 It’s a 3-inches blended latex pad, specially manufactured to enhance the overall feel that your bed brings. It’s made out of the most durable material in the industry, and it’s guaranteed to last for quite some time. The construction of the entire thing is also quite convenient, sprinkled with evenly spread holes which are intended to distribute your weight throughout topper as the whole. This guarantees that your body will remain in the most optimum posture. Some people note that there is a cover which is not removable, but it’s easy to clean and maintain, so it’s not an issue. Enumerating all the benefits brought by this mattress topper would require a lot of time and patience. Right off the bat, the solution is designed in a manner which combines therapeutic comfort and support thanks to the memory foam and the pillow top. Commonly regarded as an unusual combination, it has proven to be one of the most valuable assets and serious advantages brought by this mattress pad. Now, the product is 4-inches thick, with the first 2 of those being made of premium memory foam molded with the SureTemp technology, allowing splendid circulation of air and optimum sleeping temperature. 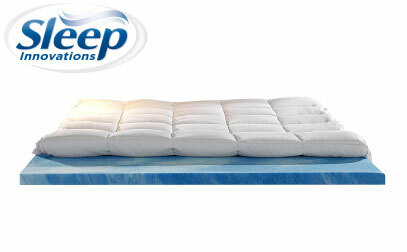 The second layer is made out of plush microfiber, making you feel as if you were laying on a cloud. Even though the product is a bit heavier, the combination that it brings on top of your mattress is undoubtedly worth it. This is a thinner option, designated for beds which are a bit firmer. That's because this is considered a firm memory foam mattress topper. If you want to add comfort to your medium or super-firm mattress, this topper is one of your most obvious choices. The pad comes with a contemporary open cell structure design which prevents significant heat accumulation, and it also helps to distribute your entire weight evenly, hence reliving pressing back pain. The low-density rating also compliments this. With 3.3 pounds per cubic feet, there’s nothing for you to worry about. The unit is made out of certified gel memory foam, which is a highly-regarded material, guaranteed to last for an extended period. Is a Firm Mattress Pad Right For You? If you go for a softer solution, it might not be that good to your back. It’s likely that the alignment of your spine would be rather improper and this could increase the radiating pain in your lower back area. While your bed will feel a lot more comfortable, chances are that you wouldn’t be able to resolve the issues with your lower back. A medium firm mattress topper is usually the preferred solution as it tends to combine comfort with convenience and it promotes proper spine alignment. However, keep in mind that the thickness, as well as the density of your pad, would also be predicated on the mattress itself. With this being said, if you have an extra-firm mattress, topping it with a thick and super-firm pad is likely to make it rock solid, hence somewhat uncomfortable, regardless of your preference. On the other hand, if your mattress is extra-soft, you’d like to pair it with a firmer pad in order to promote serious spine alignment without sacrificing the comfort. Your sleeping position is also of importance. A softer mattress pad is usually geared towards side sleepers while firmer options are more comfortable for people who tend to sleep on their back or front. However, when choosing a top rated mattress topper for back problems, you should avoid super soft and super-firm pads. Try to find the golden middle ground and get a medium-firm pad as it’s going to provide you with the proper spine alignment while not sacrificing comfort at the same time. The joints in your body, including the sockets of your hips, are generally affected by the overall type of support that you receive when you are lying in bed. Traditionally, people used to believe that firm mattresses and pads are best for hip pain sufferers. Nevertheless, throughout the last few years, this has been proven to be wrong as there is no one size which fits all. With this being said, when it comes to hip pain, shoppers have long had quite a few different options. Affordable, comfortable and convenient alternatives to rock-solid beds are readily available thanks to plush memory foam as well as to latex. These are softer materials which are going to conveniently contour your body in an attempt to provide the ultimate support for hip pain and reduce it considerably. So, what if you have a firm mattress and you start feeling a radiating pain in your hip area? Should you go ahead and buy a new one? Absolutely not – there are far better alternatives. A topper designed for hip pain relief could easily help you out – it’s a lot cheaper and convenient than having to purchase a brand new mattress altogether. Keep in mind, though, that places which bear the weight of our bodies, such as hip joints, are considered to be pressure points. These are the areas which are pressed significantly deeper into the mattress, and that’s what creates pains and aches. Therefore, if your mattress is a soft one, you might even have to go for a hard bed topper to make up for it. The most convenient option would be the one which supports your back and provides you with proper spine alignment, while at the same time relieving the pressure on your hips. Back pain could manifest throughout your entire back area, regardless of whether it’s lower, mid or upper. However, it’s also true that lower back pain is the most commonly encountered issue, mainly because it’s the most pressurized area, carrying the load of your entire upper body. This is why the vast majority of people tend to experience this type of back pain. 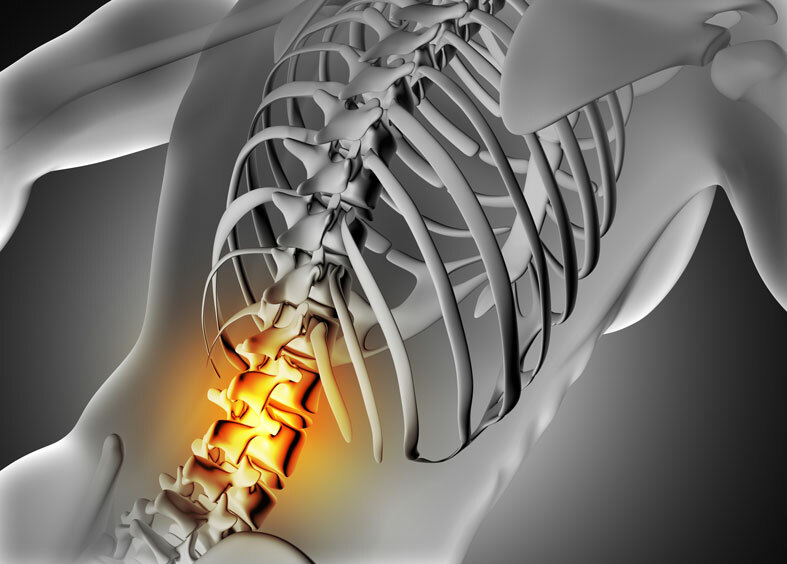 One of the most common causes for it is improper spine alignment during your sleeping hours. And, of course, this is always caused by an uncomfortable and inappropriate mattress. Choosing a nice mattress topper will quickly rectify this issue. There are three primary materials that you ought to be looking into when choosing your pad. Memory foam, gel, and latex are all great options with the latter being the most multi-functional. Those of you who experience lower back pain should consider sleeping on their back or front instead of on their side as this would provide proper spine alignment. And, when it comes to it, a medium firm mattress topper could easily do you most good. They also come with an array of added benefits, including a convenient heat distribution and retention, allowing for a more comfortable sleep throughout the night in general. Your weight will also have a critical role when choosing your topper. If you are a plus size, which usually means that you weigh more than 250 pounds, medium level density is unlikely to provide you with enough density to help your back pain issues. In other words, you need a bed pad which is capable of withstanding your overall weight without fearing of it bottoming out, given your weight and also – given your size. The best topper has to be able to handle the additional compression generated by the higher weight of your body. Therefore, in this particular example, a mattress pad with a thickness of more than 4 inches and density larger than 5 pounds per cubic feet should be amongst the most optimal choices. Looking for a mattress designed for heavy people? Check out our top picks! On the other hand, if you are lighter in terms of weight, a medium-firm mattress topper might be the best call as it’s going to provide you with proper spine alignment while keeping your bed incredibly comfortable. 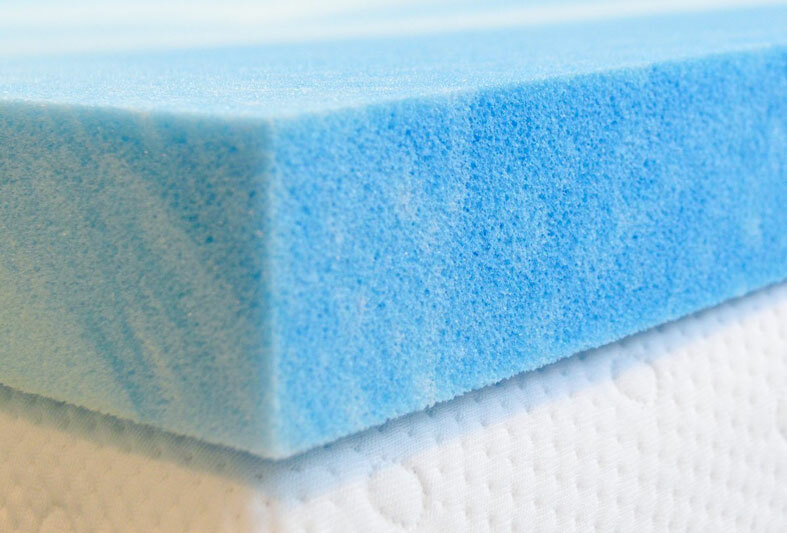 You want to avoid using overly soft mattress toppers as they are unlikely to provide your back with the necessary support, regardless of your weight or the location of your back pain. The thickness of your topper is another important criterion, especially for back sleepers. This is a metric which determines the firmness of the pad as well as the overall level of support that it could offer. The general trend has always been that the more luxurious toppers are, the thicker ones. However, this is not still the case, and it’s not always as beneficial as the most recent medical reports have shown us how this doesn’t necessarily help you with back pain issues. The non-ergonomic alignment of your spine is the most common cause of your back pain. Therefore, a thicker topper should, on paper, provide you with a proper response to your body shape. Nevertheless, thinner options are far more comfortable. Given the above, a topper designed for back pain relief should have a medium thickness. It’s neither too soft nor too firm. Therefore, the major advantages of this characteristic are that it’s able to deliver a proper balance between conformability and balance – a combination, perfectly intended for relief of your back pain issues. Anything more than 4 inches or less than 2 inches might have a questionable effect, so aim for a pad ranging in this particular thickness. Just as the previous characteristic, the density is also going to determine the overall level of firmness that the topper would deliver. The density of different pads starts as low as about 2 pounds per cubic foot. The most commonly stocked options on the market provide densities of between 2 and 3 lbs. per cubic foot. However, just as it is with the thickness, you should aim for the golden middle-ground. Medium-level density toppers are the best when it comes to back pains, regardless of their location and intensity. Pads with densities of between 3 and 5 pounds per cubic foot are what you should be looking for. They are neither too firm nor too tight, offering a proper mixture of spinal support, comfort, and durability. They allow protruding body parts such as back shoulders and the buttocks to sink just a tiny bit while aligning them with your back perfectly to prevent or relieve back pain. What is more, this type of density will properly distribute the entire weight of your body, hence relieving pressure points such as your hips. When choosing the best topper for back pain, you should make sure that it fits your mattress perfectly. Therefore, making the necessary measurements in advance is quite essential. Keep in mind that pads come in a range of different sizes and it shouldn’t be too hard to find the one which would fit ideally. If you are shopping online, though, you should be aware that sometimes the information displayed on the website of the vendor might be misleading. That’s why it’s a good idea to check out the comments section to find out whether other customers had any issues with the product whatsoever. This would quickly enable you to determine whether or not it’s the right call. Reading other customer reviews is amongst the most effective and helpful things you could do in order to determine the weaknesses and the strengths of any pad that you’ve set your sights on. For one thing, it would enable you to understand the ins and outs of the product and it would provide you with insightful information right from the oven – something that the manufacturer might prefer to hide. What is more, you would be able to determine whether or not the product that you’ve chosen actually works. After all, people who review mattress toppers experience the same turmoil and issues like you – they suffer from aching back, hips or shoulders and they search for a fix. You will be able to quickly identify your situation in some of the reviews, hence allowing you to make an actionable decision a lot quicker. Of course, another critical consideration that you ought to account for is the material of the topper. Here are the most convenient options. This is a material which is specially designated to help with the cushioning of your mattress a bit more than the usual. When it comes to thickness, memory foam bed toppers come in three different sizes – 2,3 and 4-inches. Memory foam has the convenient property of “remembering” your body’s texture and adjusting to it, allowing for a proper wrap and a beautiful snuggle fit which helps with back pain. Plus sized people weighing over 250 pounds should consider the thickest options while others might find it more suitable and comfortable to apt for 2 or 3-inches pads. They provide a splendid combination of both back support and comfort, allowing for a great, relaxing sleep. It’s worth noting that the so-called “gel” memory foam is also catching up to speed. This is a commonly used topper material which makes the solution particularly comfortable. The main difference is that “gel” pads also promote proper temperature distribution, allowing for a more comfortable and relaxed sleep. Mattress toppers made out of latex are known for being particularly abundant concerning styles, shapes, sizes as well as different means of comfort. With this in mind, a lot of people find a remedy in these types of pads since they could provide you with relief of different kinds of back pain as well as hip and neck issues. The best thing about latex toppers is that they provide constant support to your back, keeping your body in a very convenient, cradle position. Furthermore, they are known for being able to adjust themselves according to your movement in an attempt to prevent even the slightest sleep disturbances. 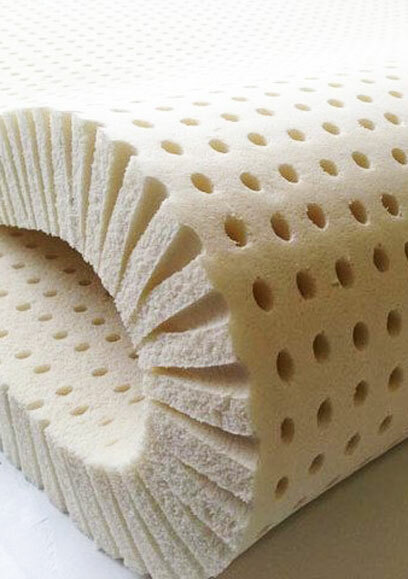 The quality of these orthopedic mattress toppers is substantially high while the prices are somewhat affordable, making the price-to-quality ration quite valuable. Apparently, this is one of the main reasons people prefer them. Taking advantage of an orthopedic mattress pad is undoubtedly a smart thing to do if you experience issues of the kind. It’s a quick, conveniently and highly comfortable remedy which will seriously enhance your sleeping experience. 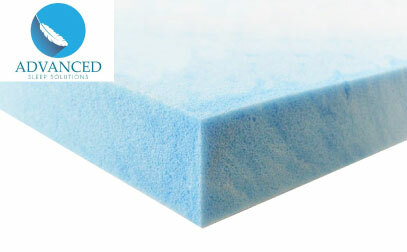 LUCID 3” Ventilated Memory Foam is one of the most notable options on the market as it combines the most important characteristics brilliantly. It’s comfortable while providing the necessary support and adhering to the movements of your body quickly and consistently. It’s quite apparent that there are a lot of things to consider. Make sure to account for your weight and back-related problems, sleeping preferences and requirements. Relate those to the characteristics of the topper, and you would undoubtedly make a good choice. If you don’t feel certain about a particular product, you can always check out what other people have experienced with it in the comments section. This article was enormously helpful! I’m going with the Lucid which is also not the most expensive option. great article! .. thanks so much for all the info. I’m looking into this to relieve pressure point pain for my 83 year old mother who has Parkinson’s and is bed bound. Your info has greatly helped me! God Bless!